This 5 part class will teach you 2 methods to do appliqué with your embroidery machine. You will learn a cut-in-place method as well as a pre-cut method. Several methods of pre-cutting will be demonstrated. Each class will focus on a different block in the wall hanging. There will be some work to do at home. Any embroidery machine with a minimum hoop size of 5” X 7” will be able to complete the appliqués. 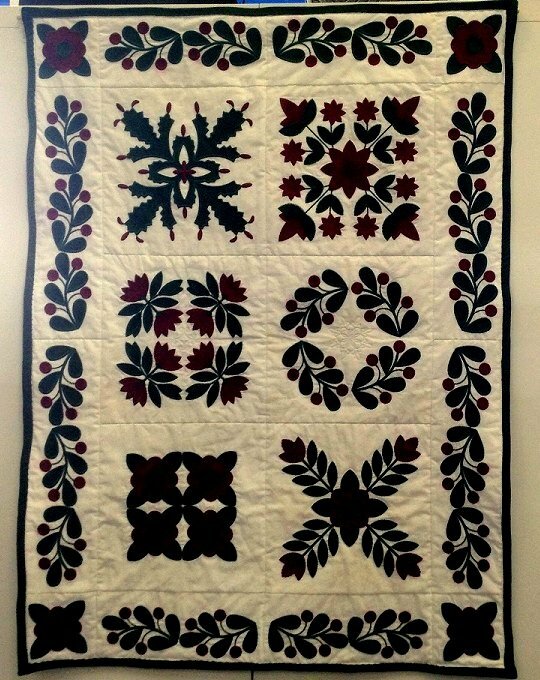 Piecing and quilting of the quilt top will be on your own. This class is suitable for an intermediate to advanced sewer. Minimum hoop size 5? X 7? (Pleases be sure to bring this hoop to first class) Supply list can be picked up at Sew'n Sweep or emailed to you.